The local currency in Bali, as with the rest of Indonesia, is known as the rupiah (IDR, or RP). Thanks to historic inflation, Indonesian money comes in huge denominations ranging from aluminum IDR 50 coins to staggering IDR 100,000 bills. Paper notes come in denominations of IDR 500, 1,000, 5,000, 10,000, 20,000, 50,000 and 100,000. Coins come in denominations of 50, 100, 200, 500 and 1,000, although these are somewhat less circulated compared to paper bills. Bali's tourist-oriented businesses have become very talented at parting visitors from their money through fair means or foul. This is not to disparage the mostly honest drivers, waiters, bankers, and tour guides in Bali—but one must be careful not to get ripped off in Bali, as there are also plenty of scammers just waiting for the chance to take advantage. There are plenty of exchange facilities all over Bali's main tourist areas, most of them accepting currencies like the US dollar, Australian dollar, and UK pound. The honest dealers operate alongside shady money changers, and it's very hard to tell one from the other. Before going out to have your bills changed, check a local newspaper for up-to-date rates of exchange. But don't take the rate to heart: the resulting exchange may end up lower due to commissions charged by money changing outlets. Banks: You are least likely to be ripped off when exchanging currency at a bank. Alternatively, you can withdraw from a bank ATM using your debit or credit card. Hotels: Many hotel front desks permit currency exchange, but offer lower exchange rates compared to banks and regular money changers. Authorized money changers: Bank Indonesia-authorized money changers advertise their status as Pedagang Valuta Asing Berizin or PVA Berizin (Indonesian for "Authorized Money Changer") with a green PVA Berizin logo in the shop window. Most banks in Bali accept foreign currencies for exchange. On weekdays, banks in Bali are open from 8am to 3pm. The following Indonesian banks operate within Bali, and provide ATM and over-the-counter services. Click on the offsite links in the list below to access their English-language sites and find their branches and ATMs in Bali. Most banks have an upper withdrawal limit of IDR 3 million (about $330), although some machines can go as low as IDR 1.25 million or as high as IDR 5 million. 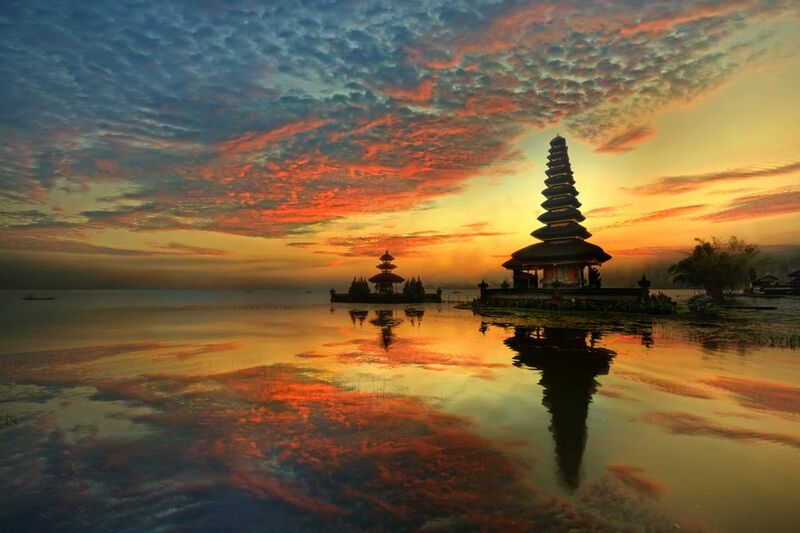 The convenience offered by ATMs in Bali may be offset by fees charged for overseas withdrawals. Double-check with your bank or credit card before making a withdrawal on a Bali ATM. Foreign currencies like the US dollar, UK pound and Australian dollar can be very easily changed at one of the many money changers in Bali. Money changers go where the tourists are—from the airport down to the larger villages upcountry. Unfortunately, Bali money changers have acquired an unsavory reputation due to their extensive repertoire of dirty tricks. To protect yourself from being victimized by cheating moneychangers, patronize only Bank Indonesia-authorized money changers. These money changers are accredited by the Indonesian monetary authorities as Pedagang Valuta Asing Berizin or PVA Berizin (Indonesian for "Authorized Money Changer"). PVA Berizin members have a Bank Indonesia hologram and a PVA Berizin green shield logo in the shop window. For any money changer you come across in Bali, follow these simple steps to ensure that you do not get ripped off when exchanging foreign currencies. Calculate the rate yourself. Check the money changer's advertised rates first, then use your own calculator to figure out the result versus the amount you wish to exchange. This is important: some unsavory moneychangers have actually rigged their calculators to provide a disadvantageous rate. Determine if the money changer you're approaching will charge a commission. Money changers with higher-than-usual rates often charge a commission to lop a little off the top of the total. Money changers that don't charge a commission usually sell at lower rates. These changers advertise their lack of commission up front. Count out your own notes, but don't hand them over just yet. Place them in front of you where you can keep an eye on them. Take the rupiah from the money changer and count them yourself. Do not pocket them yet, but under no circumstances should you give the rupiah back to the money changer for counting. If he insists, walk away and take your own currency with you. If you're happy with the amount you've received, then let the money changer take your foreign currency and complete the transaction. You should receive a receipt for the transaction. If you don't get one, ask for one. Follow these tips to make sure you get the most out of every money changing transaction. Don't choose purely on the basis of the best-advertised rate. Fly-by-night operations use almost-too-good-to-be-true exchange rates to draw suckers in. Do business with PVA Berizin members preferably, if you can't withdraw the amount you need from a local ATM. Bring fresh, crisp $100 bills to exchange. Creased or old bills will be rejected by most moneychangers, or will be charged a lower exchange rate. Same goes for newer bills at lower denominations; ask if they discount bills less than $100 in value. Bills denominated $10 and below may not be accepted for exchange. The fresher off the press your $100 bill looks, the more likely you are to get the best rate for it in exchange. Count your money before you change it; count it, and count it again after you've changed it. Be the last person to handle the money in the transaction. Do not allow the money changer to get the money back, "to count it just in case". Avoid the following money changers: Money changers attached as a secondary concern to another business, like a tattoo parlor that does money changing on the side; and money changers offering rates suspiciously higher than the prevailing bank rate.